We took Ebony to see a roller derby game once. She was a toddler, probably a bit little to understand what was going on (I was a grown up and I had no idea what was going on), but she sat happily on a chair and watched fierce women zoom around the track. I'm not really much of a spectator, but I can appreciate any sport that has vegan cakes on sale at the matches. I am on board with this kind of sports watching. 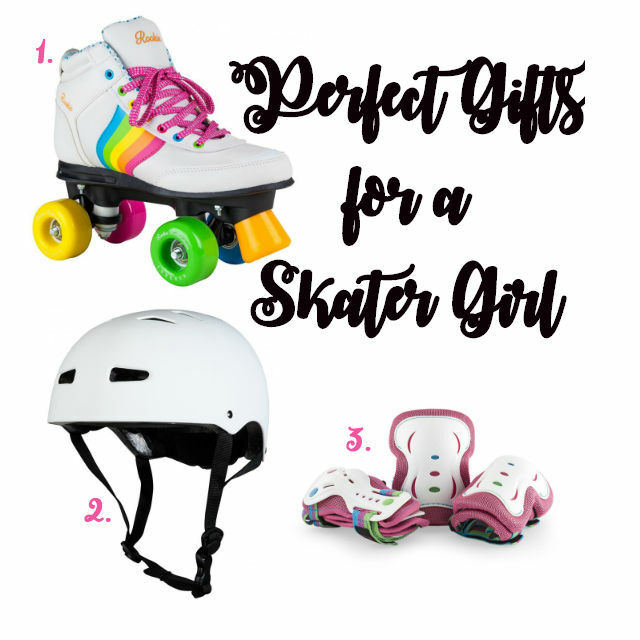 When I was a little girl, I had a beautiful pair of quad skates. There were red with rainbow stripes up the side and I loved them more than it is probably ok to love a piece of sports equipment. I couldn't use them, of course, I have less skill on skates than Bambi has on ice, but I loved how pretty they were. Meanwhile, Laurie was busy learning to skate backwards during his childhood. We are yet to work out who Ebony takes after in the skating department, I worry it might be me and my goal of being a roller derby mum will never come to fruition. In my mind, roller derby mum is way better than 'soccer mom' because there are vegan cakes and a roof (two of my faves). Not long after we took Ebony to see the roller derby game, I found a pair of adjustable roller skates in the charity shop. They turned out to be problematic because Ebony insisted on wearing them for the nursery run which meant an already stressful time of the day was now unbearably slow. I do not have the time to drag a toddler around the streets, I hoped she would just glide gracefully beside me like a pro. I have looked for a kids roller derby club but there isn't one in Manchester yet (there should be). There was one in Liverpool but I heard a rumour that it has closed down (I have not checked whether this is true). I would love to be able to take her to play roller derby, I think all girls need to learn a sport that teaches them confidence, warrior tactics and the importance of being strong.